Kentucky, USA- Bottled exclusive from a dumping of 70 barrels or less. All drawn from the middle to upper floors of the traditional metal clad rickhouses. It is the original Small Batch Bourbon. Made available even before the invented term “small batch bourbon”. Perfume and clover honey fill the nose. This is deep and rich in structure. Well-integrated elements combine with a high alcohol feel. Still perfumed at the end. Best served neat. Elijah Craig 12-Year-Old is a true Small Batch premium Bourbon. It had that distinction before the term even existed. Back in the 1700’s a Baptist minister by that name actually invented the process of aging whiskey in charred oak barrels. Today, this super premium small batch bourbon remains one of the finest on the market. In keeping with the original, Elijah Craig Small Batch is 94 proof. They look very identical in the bottle. In the glass the slight color differences come out, with the 12 being slight darker. The nose is a little easier to distinguish on the 12, while there is some slight alcohol burn to aromas of the NAS. Both lean to the thin side, but the 12 has a slight greater viscosity. Both are flavorful, but the 12 gives a little more depth to the tasting experience. The NAS drinks a little hotter than the 12, and both have a very nice long finish. 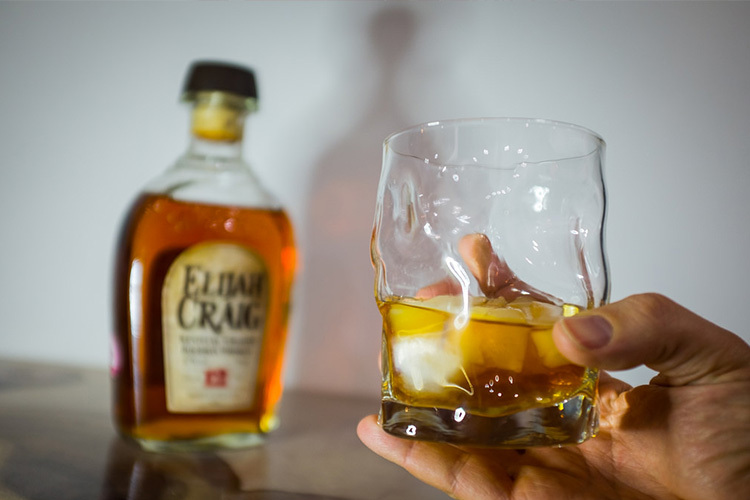 If you aren’t already a regular drinker of Elijah Craig 12, you’ll enjoy the NAS a lot. Casual consumers will jump on the NAS bandwagon with ease. Regardless of the business choices behind it, the only thing that matters is the bourbon. As for this particular bourbon, the jury is still out for me. Heaven Hill hit a game winning, bases loaded home run with Elijah Craig 12. Now that this classic expression has reached its end, they deserve a standing ovation for this accomplishment. Come see us at the Wine and Spirits Cellar and shop our specials for the month of January!